One of his clients said: "Nick has so many wonderful qualities - he is caring towards his animal patients and empathetic towards their owners. He has a great smile, understanding eyes and a fabulous sense of humour. All vital qualities necessary for a perfect vet - the next Bondi Vet." Nick has been our family vet for three years. He is warm and wise and always shares his guinea pig wisdom with us! We absolutely recommend him to everyone. My question: Why do my guinea pigs growl when I put them back into their house? Why would Dr Nick not be chosen for this role? He always goes above & beyond with his level of service & he also explains in detail so you are reassured & educated. The perfect vet & extension of our family! 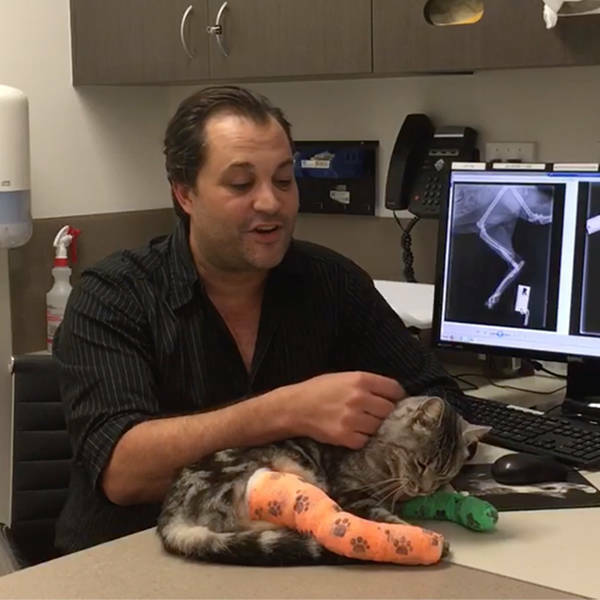 Our family have always thought Dr Nick Taylor's caring, intelligent, hilarious and exuberant personality was beyond the realms of a local veterinarian clinic. Our animals love him and so will the TV audience. We have recommended Nick to our friends and strongly recommend him to be the Bondi Vet. Dr Nick is the best! I've been taking my family dog to see him for many years and highly recommend his services! His fantastic sense of humor will be a hit on TV! Dr Nick took one look at my cat and then they bunted heads. I taught my cat to do that and was amazed someone would bother to try it, right when he first met him, without being told he likes it. Dr Nick is the best! Great guy and a great vet. He definitely gets my vote. Dr Nick has looked after my pets for many, many years. He has saved the life of my cat Jack and my dog Scout adores him. Going to the vet is one of her favourite things! Nick is always caring, compassionate and generous with his time with worried pet owners.